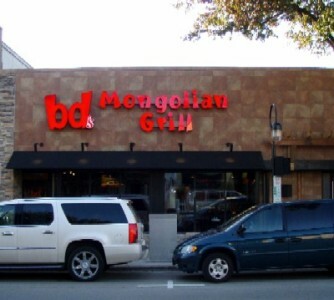 Bd's Mongolian Barbeque Naperville, is located downtown on Washington. This fun place lets you create your own stir-fry masterpiece. Once seated, Bd’s friendly wait staff brings your beverage of choice. You can order from the menu, but for a real adventure head over to the buffet line where you choose from fresh and yummy ingredients to make your own stir-fry bowl. Bd’s offers a nice variety of meats, seafood, tofu, and garden fresh veggies. Top off your bowl with your choice of sauce and spices, and then hand it to a grill master where your food is prepared to perfection on a 7-foot grill! Our family loves Bd’s because we try different combinations every time we visit. If you happen to be in Naperville and are looking for a unique place to eat, check out Bd's!